Congratulations to our Mixed Team who performed so well in the National Finals on Saturday at Stoke on Trent. 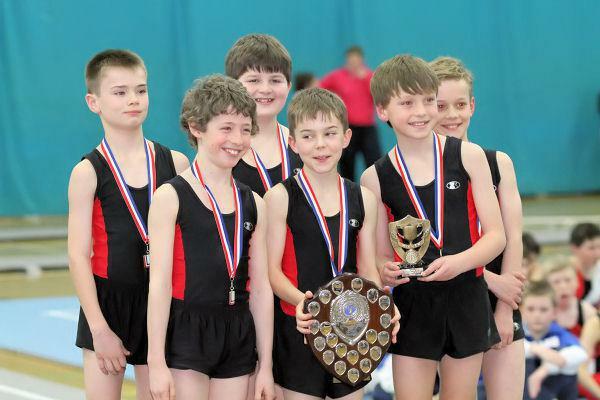 Our six gymnasts marched out on to the competition floor at 11:30am on Saturday morning and performed brilliantly. As a team, our vaults scored some of the highest scores we have achieved over recent years. Equally our floor routines received much applause from the vast audience. 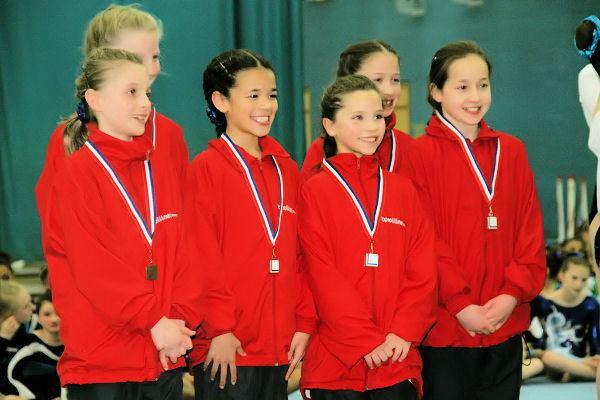 At the end of an exchausting day's gymnastics the organiser announced that CSPA were runners up to London in the U11 Mixed team championships and our team were presented with well deserved silver medals. The very strong winning team representing London, won by 1.5 pts. U 11 Girls’ Runners Up to London in the Plate competition. Congratulations to our gymnasts and our thanks go to their parents and staff for the wonderful support they readily provide. Special thanks to Miss Suzy Holliday for her coaching and support, to prepare the children so well for the championships.